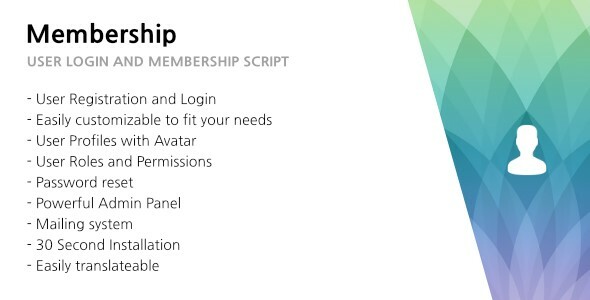 321 Membership - User Login, Membership and User Management - CODELISTPRO | Free Premium Scripts, Plugins, Apps Source Code. 321 Membership is a PHP application that allows website owners to quickly add a powerful, fast and highly customizable user login or membership area to their website. Whether you want to build a login area for your users or clients, a private membership area or a powerful web application, network or platform – 321 Membership is the perfect basis for your projects.